Plenty of us, no matter how much we earn, have trouble making ends meet occasionally, and sometimes it feels like all we’re doing is working to pay the bills. If that sounds like you, then it might be time to take a step back and look at the big picture so you can get your finances organised. Here are 5 steps to getting on top of your debt. Personal loans, store cards, credit cards – it can be very easy to turn a blind eye to mounting levels of personal debt, particularly if it is spread across a number of financial products. 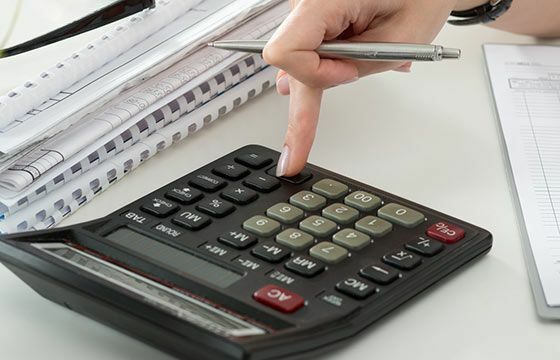 Unless you’re someone who micro-manages their money, chances are you may not be sure where a fair proportion of each paycheck is going before you sit down and go through your credit card statements. Or even if you do know where it’s going – should it actually be going there? Put aside a couple of hours to jump onto internet banking and analyse your bank accounts line by line. 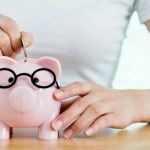 You may well find some spending you didn’t know about – or some expenses that are costing a lot more than they need to. In terms of overspending there are all the usual suspects, such as gifts, entertainment, and telecommunications. But some other areas include groceries (here are some ways to save on the grocery bill), car insurance costs, health insurance costs, your loans, and your utilities. You could be amazed just how many areas of potential savings there are when you really look into it. Try thinking in terms of both big and small picture expenses; maybe you could do without your daily takeaway coffee, but could you also do without your $100-per-month Foxtel subscription? We have a tendency to assume that the bigger the cost, the more essential it is, but this isn’t always true. Personal debt – and credit card debt in particular – can linger for years if we don’t have a plan and a repayment schedule to extinguish it. Try our budgeting calculator or personal loan repayment calculator to put a repayment plan in place, then adjust your other personal spending to enable it to happen. An important part of establishing a debt payment plan is figuring out which debt needs to be paid down first, rather than trying to tackle them all simultaneously. Obviously with any debt, you need to make the minimum monthly repayments. But beyond that, you should look to pay off your debts in order of priority, starting with the most expensive. Generally that means the debt that’s charging the highest interest rate! If you have personal debts such as credit card debt, one potential option is to consolidate them into one balance transfer credit card or one personal loan, with a structured repayment plan. This works if you have the discipline to stick to the repayments and not rack up any more debt by making more purchases. Ideally, we would all pay our bills on time, but if you’re struggling with payments, then contact your creditors asap to discuss payment options. Most creditors will welcome your call – and the sooner you take that initiative the better. If you delay until your account is overdue, you may find that it negatively affects your credit rating, making it harder to get loans or credit in the future. Keep in mind that, while creditors will usually be willing to work with you in terms of figuring out a feasible payment plan, they still want their money. Contacting your creditors isn’t a get-out-of-debt-free card – it’s one step in the debt management process. Sometimes, the idea of sorting out your finances alone is more than you can manage. Fortunately, free and independent help is available. Financial counsellors are professionals who can be an invaluable resource to help you work through your situation. Personal debt is something that gradually builds up over time. Logically, it also takes time to readjust your spending patterns in order to pay it off. Whether it takes one year or five years to make real inroads into your debt, the most important thing is getting started and being persistent.